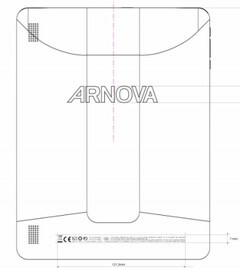 A tablet Archos Arnova 9 G3 seems to be on its way to the market as it recently passes through the FCC. This tablet sports a 9.7inch display and is expected to be powered by Android’s latest Ice Cream Sandwich. This tablet is also expected to be released with a lower segment price range. The Archos is also known in the market for its low priced tablet models. The company sells some of the cheapest tablets in the market. Now with the low price the Tablet will not be competing with the latest iPad or other high range devices however it has a bit up to date processor configuration. This third generation of the Archos tablet’s 9.7inch screen will be capable of providing 1024 x 768 pixels of resolution with a wide viewing angle. It has a 1GHz Rockchip RK2918 single core processor along with a 1GB of RAM and 4GB of storage. The device will also weigh just as similar to that of an iPad that is 1.4 pounds. The tablet might be hitting the market soon. Nothing has been disclosed about the release date and price of the devices. 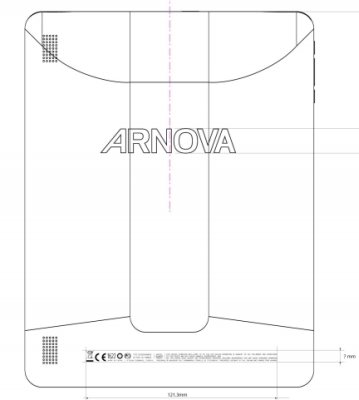 Another line of Arnova tablets of 7, 8 and 10 inches are expected to be in line for the market.